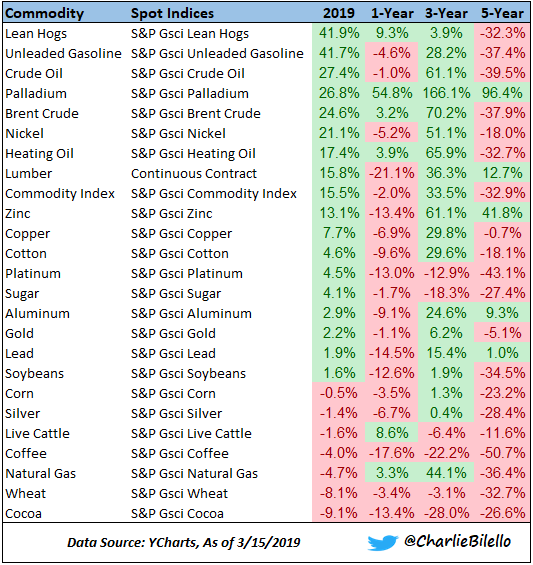 Since the beginning of the year, it feels like we're in an ongoing, giant, party, to which all asset-classes and sectors are invited. Both a market with no losing spots and the corporate debt level are not sustainable. 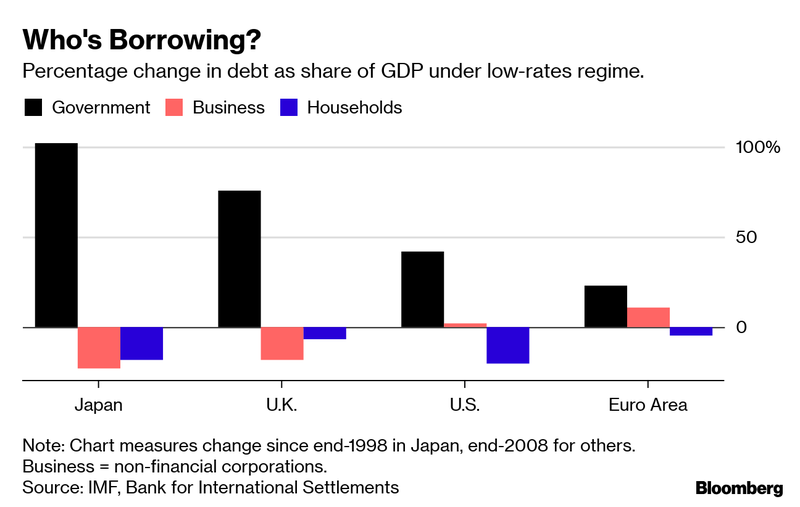 Although valuations aren't expensive, from a historical perspective, slowing growth, low yields, and ballooning levels of debts are all implying that cautiousness is warranted. A combination of the S&P 500 reaching 2,850 and a trade deal may actually send the market into another correction. The party is running at full swing. 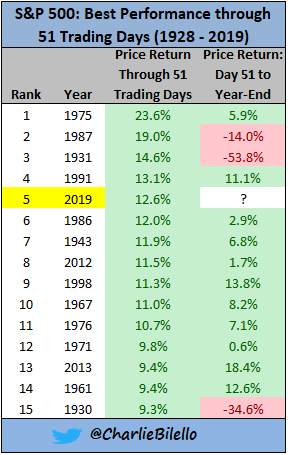 The S&P 500 index (SPY) is up 12.6% over the first 51 trading days of 2019. This is the best start to a year since 1991! 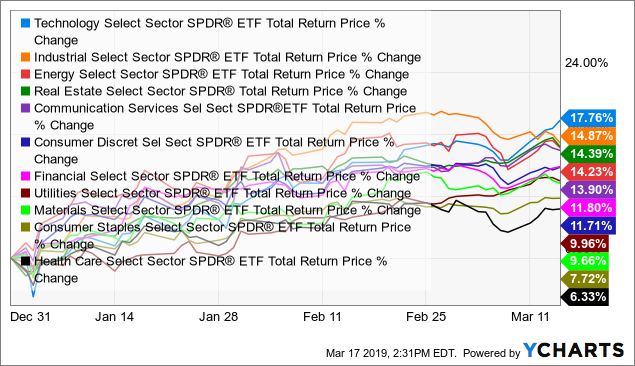 2019 YTD: all green again. 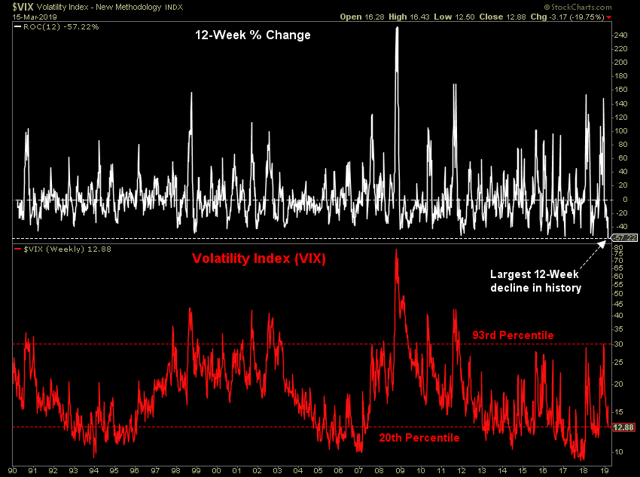 The Volatility Index ("VIX") has moved from the 93rd percentile (30.1) to the 20th percentile (12.9) over the last 12 weeks. 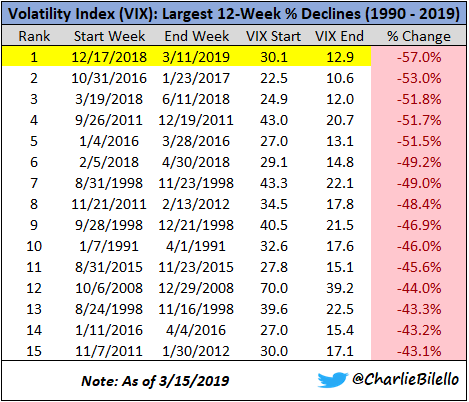 The over 57% fall (from 30.1 to 12.9) in the Volatility Index, over the past 12 weeks, is the largest 12-week decline in history! Volatility (VXXB, TVIX, UVXY, VXX, VXXB, VIXM, VIXX, VIXY)!? What Volatility??? So, it's all good, rosy, and positive, right? No so fast, folks, not so fast... Let's see few of the main gauges. While the US is recording the highest growth rate among the developed markets, growth trends in Europe/Eurozone stocks (VGK, EZU, HEDJ, FEZ, IEUR, BBEU, IEV), Japan (EWJ, DXJ), and the UK (EWU) are all pointing down. 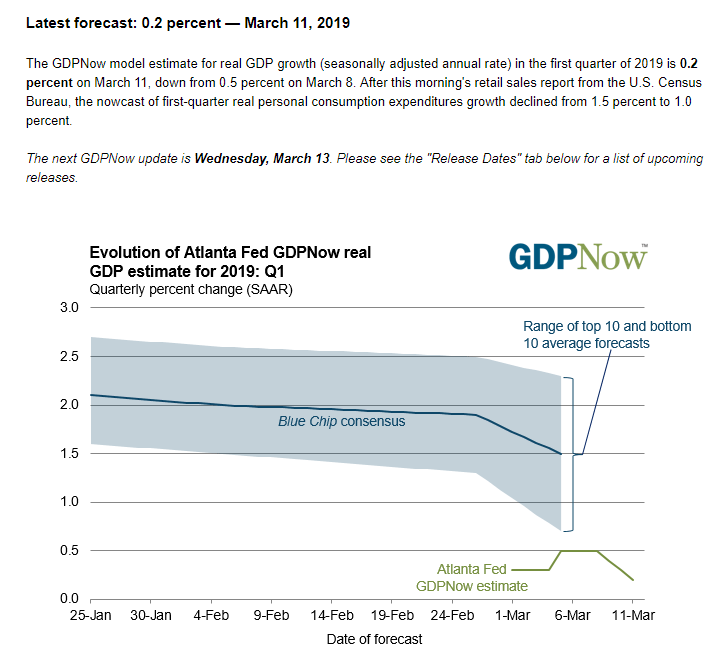 Nonetheless, before everybody cheers about the US (past) growth, let's not forget that the Atlanta Fed GDP forecast for Q1 has just moved down to a mere 0.17%... Is growth about to tank? 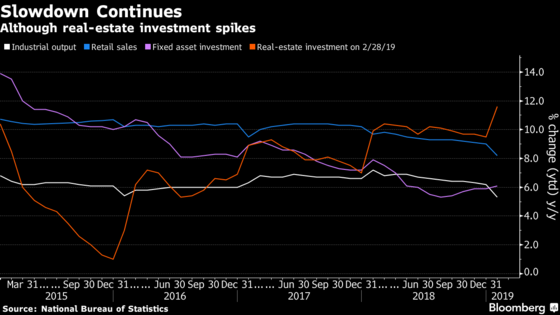 ...even when real-estate investment spikes. 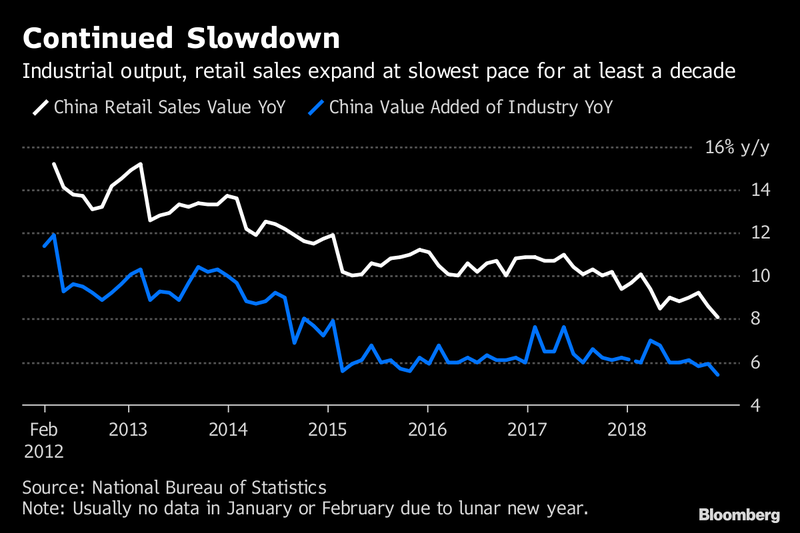 Global trade fell sharply in November and December (cumulative 3.5% drop), pushing Y/Y trade growth into negative territory for the first time since 2016. 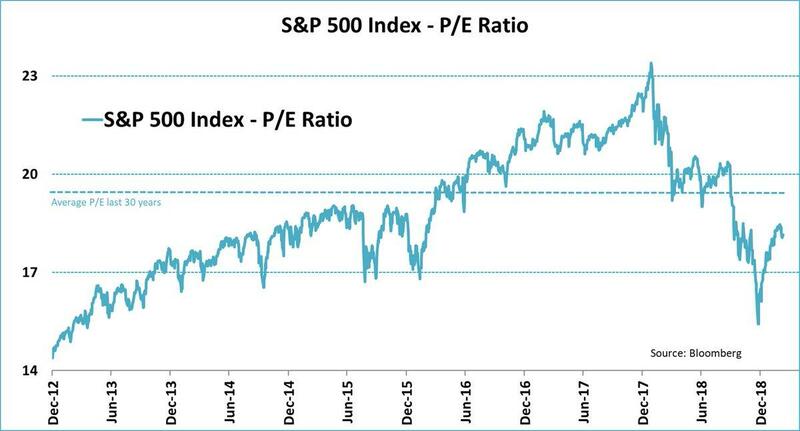 With the P/E of the S&P 500 Index still comfortably below the long-term level, valuations aren't expensive. 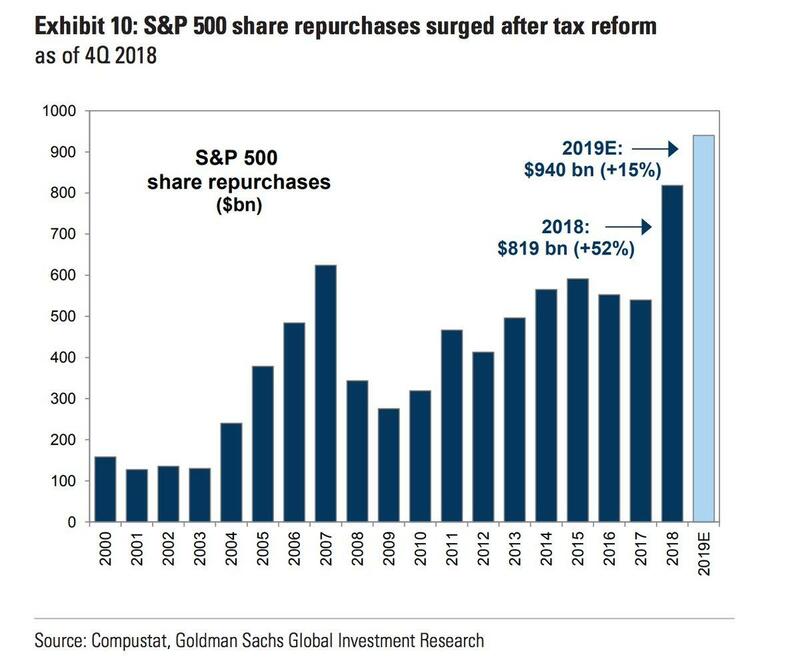 Goldman Sachs expects share buybacks of S&P 500 companies to rise by 15% this year to $940B. However, that buyback madness won't continue, given that 50% of all these leveraged-up companies are triple-B rated. 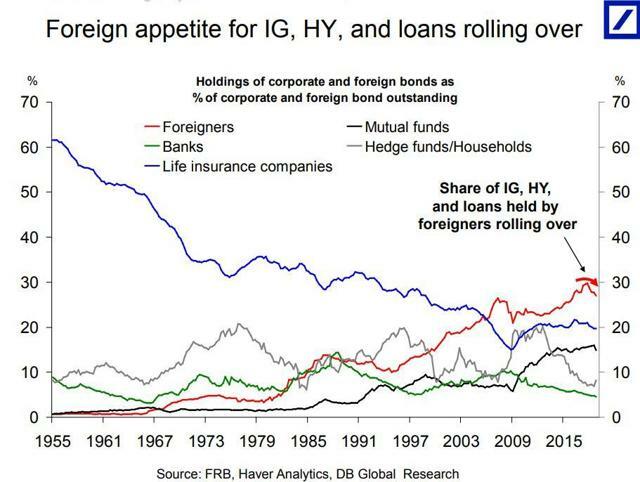 With such rating, further re-leveraging of the balance sheets is not possible anymore. Companies (will) have no choice but to adjust. Jeffrey Gundlach, founder of DoubleLine Capital LP, believes that stocks are still in a bear market, and we will take out the December 2018 low in 2019. 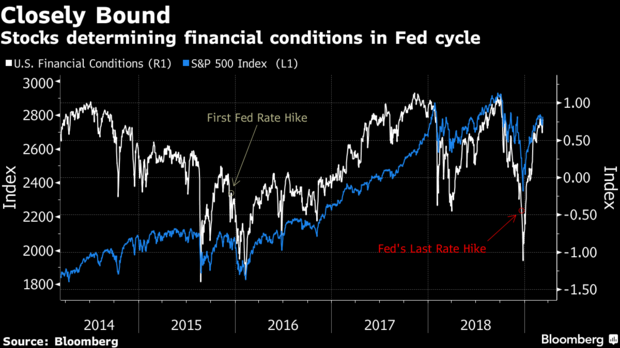 He views this year's rebound in stocks as a result of the "180 degree" turn by the Fed and thinks that the market is going to start caring much more about the US debt problem, or "oceans of debt", as he calls it. A $10 trillion global stock rally gets a reality check from slow growth. 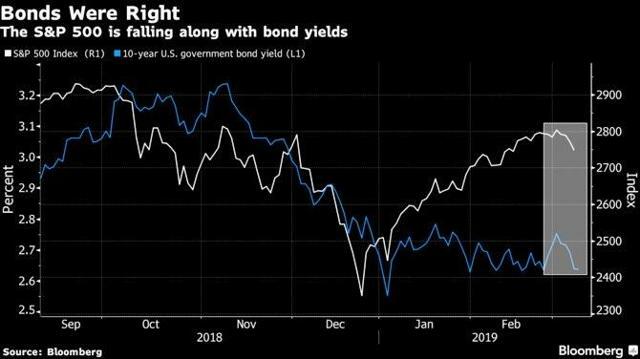 Investors are pulling money from equities and pouring it into bonds. Furthermore, US 10-year Treasury yields (TLT, SPTL, VGLT, IEF) are sinking back to the lows of the year. Now, what one would expect when stocks are rallying. LQD, the largest investment-grade Bond ETF with $32 billion in AUM, just hit its highest level since December 2017. The single thing all investors are focusing on is the Fed monetary policy and the liquidity it pumps into/withdraws from the markets. In Treasuries, I just don't think there's any value. The market is misinterpreting the Fed a little bit and I personally don't think the Fed's done hiking. People seem to be way too focused on when the Fed is going to end the balance-sheet unwinding. That question is much more trivial relative to the question of what is the Fed's balance sheet going to look like over the long run. 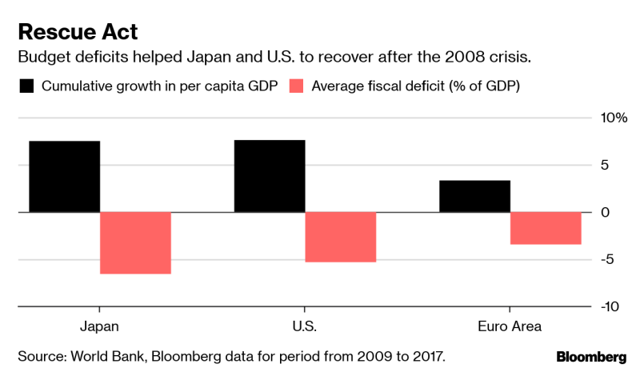 Central banks, which relied on cheap money to pull economies out of the 2008 slump, may not be able to repeat the trick in another downturn. 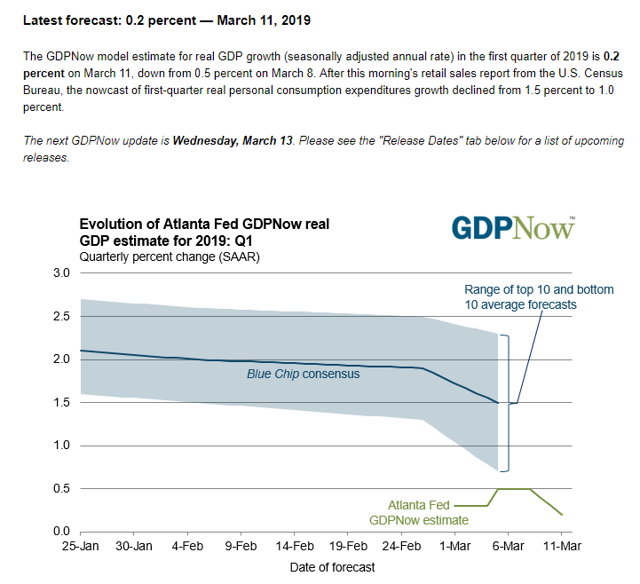 As we explained few days ago, every $3 of debt are producing only $1 of growth. That is clearly neither justified, nor sustainable. The cumulative growth in per-capita GDP is mostly history and, nowadays surely, isn't anywhere near the average fiscal deficit. Some are seeing encouraging signs when they look at the households debt levels/trends. Nevertheless, the household debt is peanuts compared to the corporate debt. 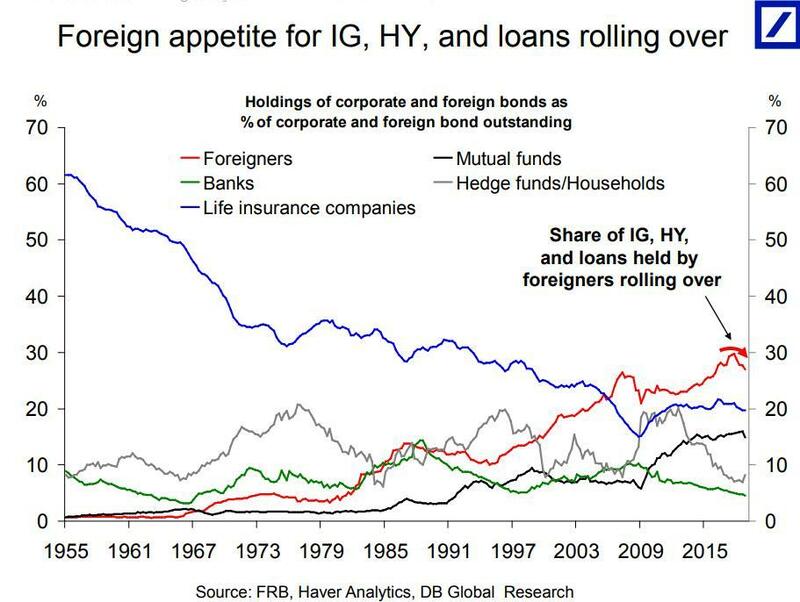 Furthermore, of all the challenges confronting the US stock market, corporate debt levels are most likely the biggest. In spite of many dismissing this, leverage matters, especially for those that do something which is so (and clearly) unsustainable. 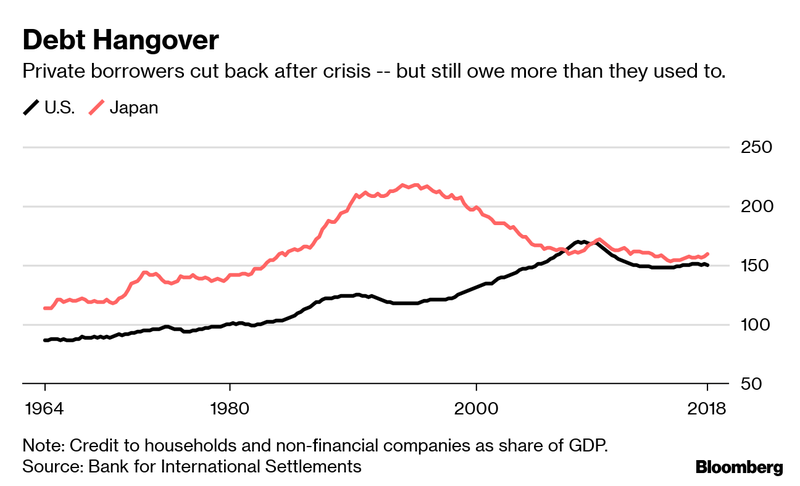 Add to that a recently declining appetite of foreign investors to own debt, and you get yourself a bubble that is looking to burst. We're not yet selling like crazy, but we're certainly taking the back seat. 4. Putting more money into cash instruments. 5. Using more instruments that are offering more protection/hedging and less high beta, non-hedged, exposure. Note that there's much more to it than the few examples, only using publicly-available articles only, that we provide in here. 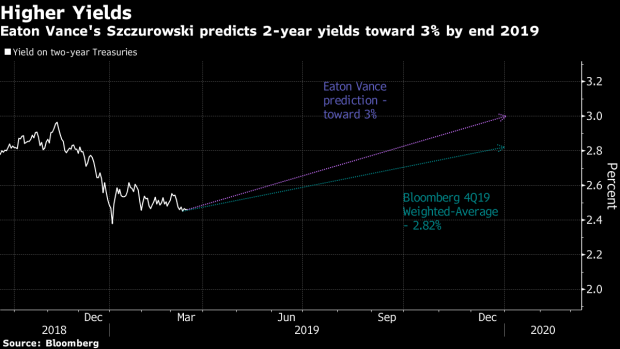 In our detailed predictions for 2019, we wrote that "the S&P 500 has a chance to trade >2,800 along the year". However, we believe that the leading index "will finish the year below the current level (as I write) of 2,616." We communicated to our subscribers all along that our target for the S&P 500 inside Q1/2019 is 2,800-2,850. We are now right at the middle of this range, and the (positive) sentiment suggests that we might hit 2,850 soon; perhaps as early as this week (This article is written on Sunday, 3/17/2019, noon time). As you can see from the chart below, when the 50-DMA and the 200-DMA lines crossed each other back in late April 2016 (point no. 1), it was a good time (though 2.5 months late!) to get long following a market correction. 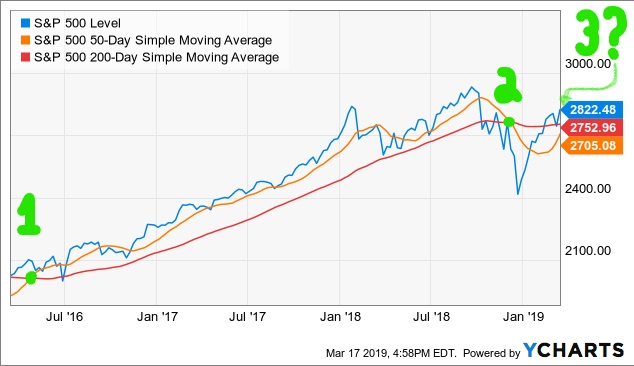 Similarly, when the 50-DMA and the 200-DMA lines crossed each other back in early December 2018 (point no. 2), it was a good time (though 3 weeks too early!) to get long following a market correction. I believe that the next crossing, whenever it's going to happen, is likely to mark another shift of sentiment, but this time, without a market correction, it would suggest the opposite move: Out. This is not science, and as you can see, the crossing can happen a bit too early or a bit too late. For that reason, we don't "wait" for the crossing to happen, but we certainly keep an open mind on and follow the trend. The 50-DMA is now only 1.74% below the 200-DMA, and the S&P 500 is only 0.96% below 2,850. 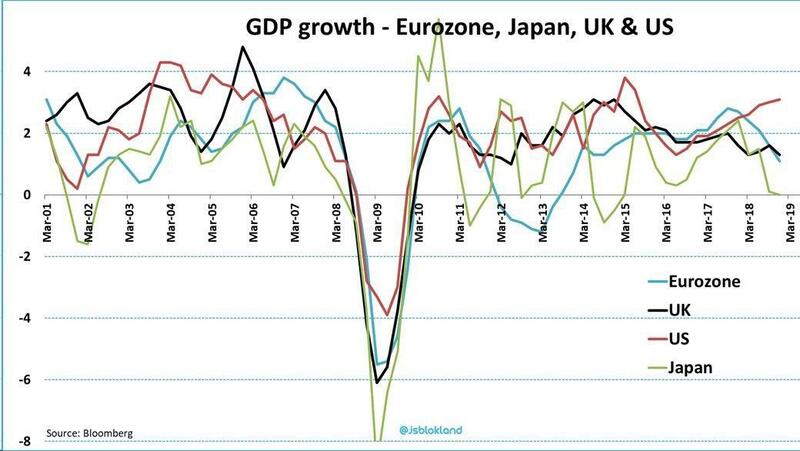 Another 1-2% up, and we are practically in, or very close to, the danger zone. 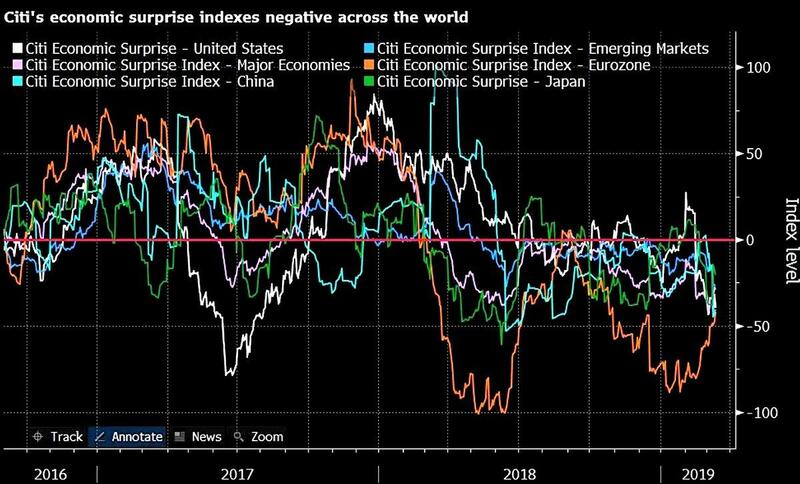 Last but not least, the single most powerful aspect that drove the markets up so far this year is the anticipation for a trade deal to be reached. An expected meeting between Presidents Donald Trump and Xi Jinping was pushed to April, at the very earliest. Assuming that the meeting does take place next month, we have about one month to keep pushing the "buy the rumor", in anticipation of a trade deal. Thing is that many investors forget that the trade deal negotiations may end up badly, thus the trade deal is a risk as much as it's an opportunity. Furthermore, the S&P 500 is up over 20% since the December lows. We strongly doubt that there's much more meat left on this (trade deal) bone, without other catalysts popping too. Finally, reaching an agreement doesn't necessarily mean reaching a good agreement. Reaching a trade deal is one (certainly blessed) thing. However, winning the trade war is another, not necessarily as satisfactory. We actually view the combination of the i) S&P 500 reaching 2850, ii) 50-DMA and 200-DMA crossing each other, and iii) reaching a trade deal, as a risky combination. The "buy the rumor" can very easily and quickly switch into a "sell the news", and the much-anticipated outcome might actually send the market into another correction. It's important to note that this isn't a projection per se. We are still very much invested in this market, and we are not throwing the towel as of yet. 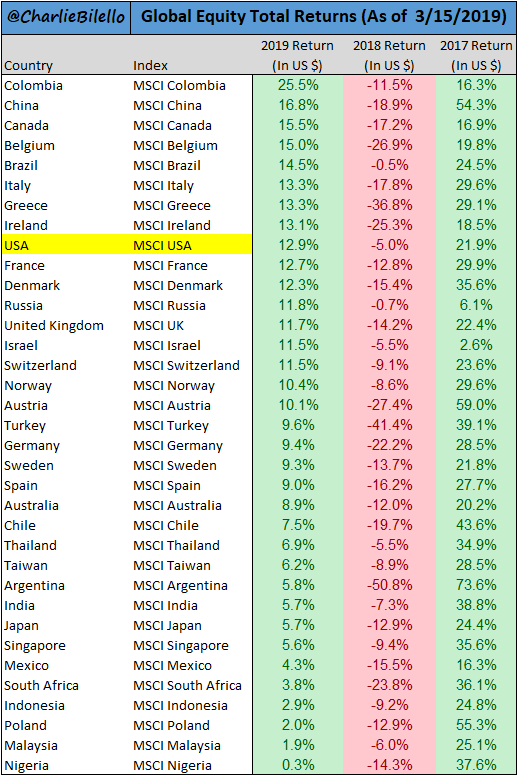 Having said that, we are now in a position where we will profit more (or lose less) out of a market correction than any other point over the past three years. 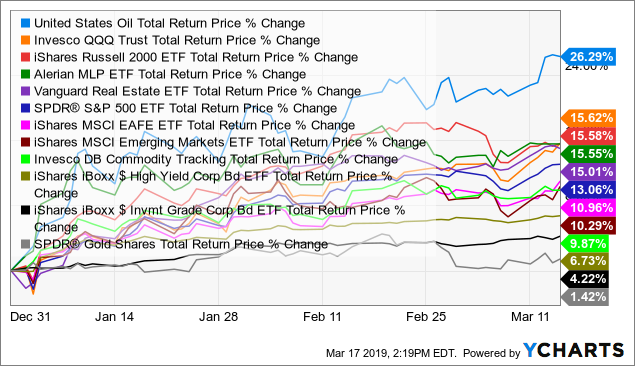 "Getting Ready For 2019", a 19-part series, featuring our top picks across eleven sectors plus eight segments. Until 3/18 Only: 12% DISCOUNT!!! Disclosure: I am/we are long AVGO, NVDA. I wrote this article myself, and it expresses my own opinions. I am not receiving compensation for it (other than from Seeking Alpha). I have no business relationship with any company whose stock is mentioned in this article.